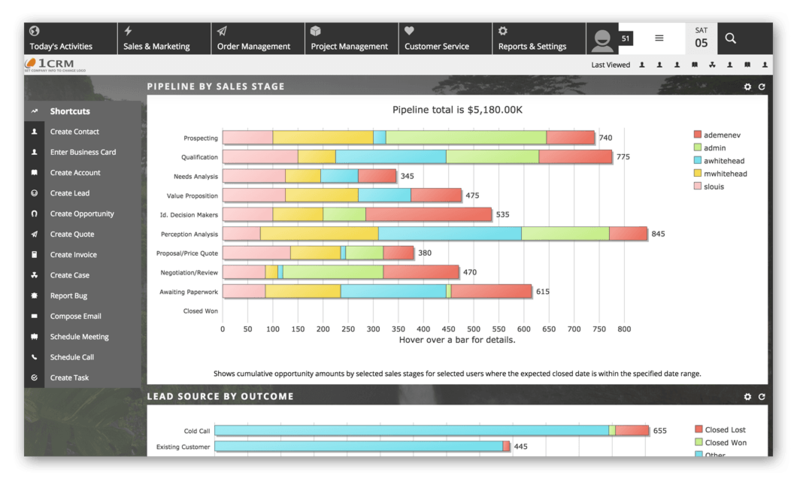 Discover 1CRM – Get Your 30 Day Free Trial! 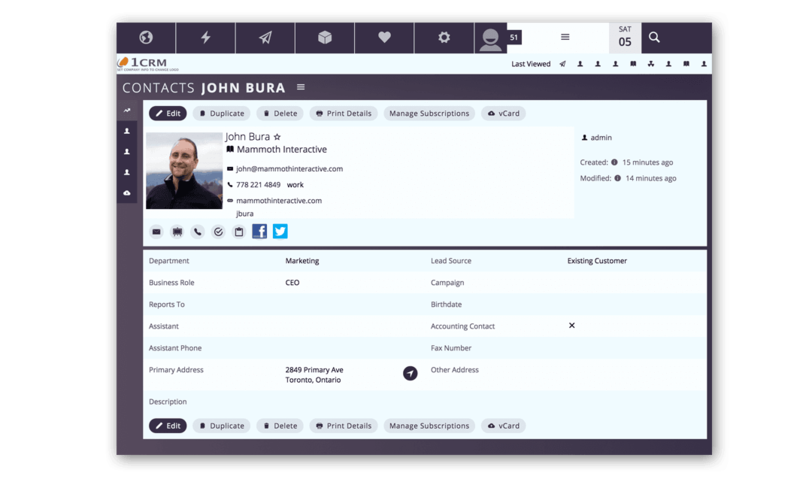 Looking to spice up your CRM? Check out this new 1CRM theme, as created by our partner visual4 GmbH! Flex provides a brand new look for the 1CRM platform – including customizable backgrounds, flat design elements and updated screen layouts. Create personalized layouts for your Smart List Tabs within user preferences, to better suit your needs. Easily reorder or hide tabs, and make your favourite the default list view for quick access. 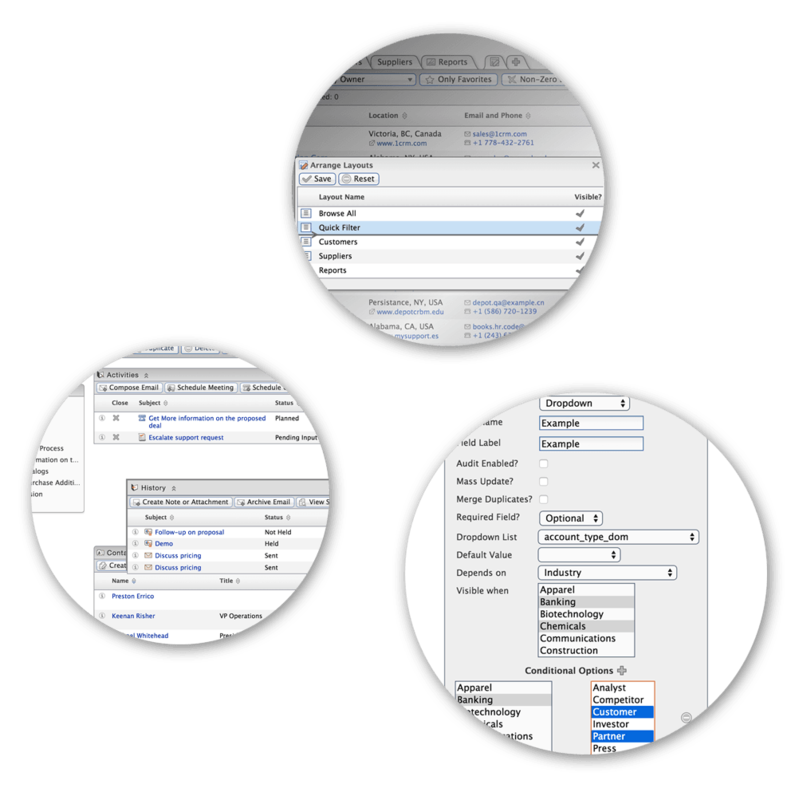 Organize your subpanels with the new drag-and-drop feature, or hide nonessential subpanels within user preferences to quickly access the data you need. Fields can be shown/hidden dependent on the value of a controlling Dropdown field, using the Custom Fields Editor, or the Module Designer for standard fields. Dropdown options offered to users can now also be limited. You can now keep track of booked hours & time spent on support cases by automatically timing your calls and logging the duration within your customer’s interaction history. Pair that with the new ability to book and bill hours spent on Calls, Meetings & Tasks to make sure you bill all your client hours every day! 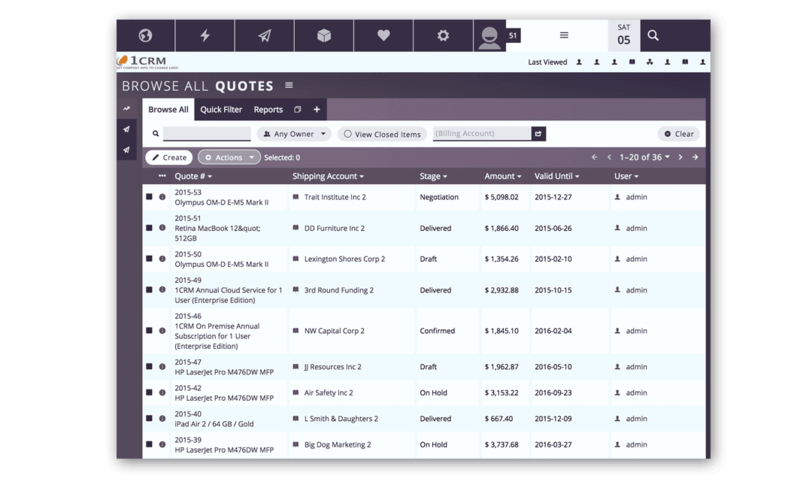 The Smart Convert feature saves time and reduces errors by copying data for matching custom fields when records are converted, such as a Quote to an Invoice, or a Lead to a Contact. Finally, it’s easy to include custom fields in these important system workflows. Customer Service can make or break your business, and often businesses don’t receive enough feedback to know how they’re doing, or who shouldn’t be working for them. To get some answers, this new feature can send a customer satisfaction survey to a customer when a service case is closed, or simply let them assign a Star Rating. And to speed the process along, we’ve also added configurable auto-closing of pending customer service cases.